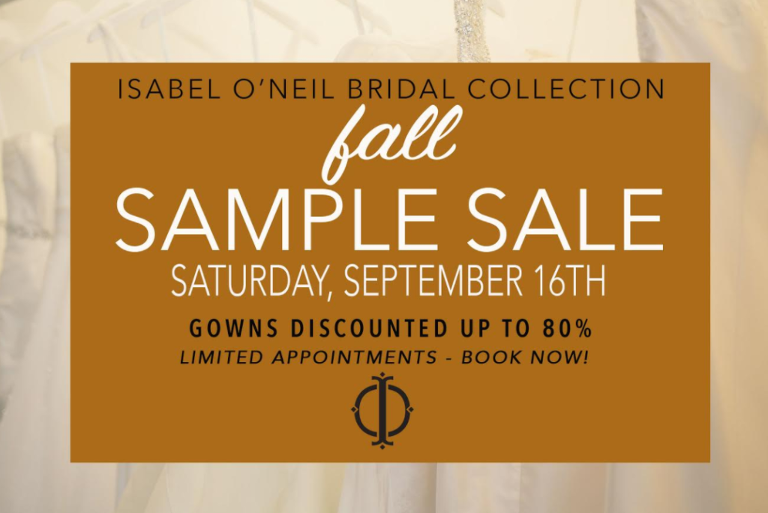 South Tampa wedding dress boutique Isabel O’Neil Bridal Collection is hosting a fall bridal sample sale September 16th and 17th. Wedding gowns from top couture designers will be marked down up to 80%, making it the perfect time for you to find your dream wedding dress. Appointments are required and are limited for that weekend.